Make this beautiful Fish Hawk pool home your new residence! This lovely 2,347 sqft home has 4 bedrooms, 2 baths, 2 car garage with split-floor plan. You will love that this gorgeous well-maintained open concept floorplan home has a spacious living room with sliders to the screened-in lanai so that you can enjoy your pool and beautifully landscaped yard year-round. There is a separate dining area for your family gatherings and a gourmet kitchen for the chef in the house with stainless steel appliances and gas range. The oversized Master Bedroom has a vaulted ceiling, an on-suite bathroom with his and her sinks, separate walk-in shower and garden tub. The large master suite also boasts an oversized walk-in closet. 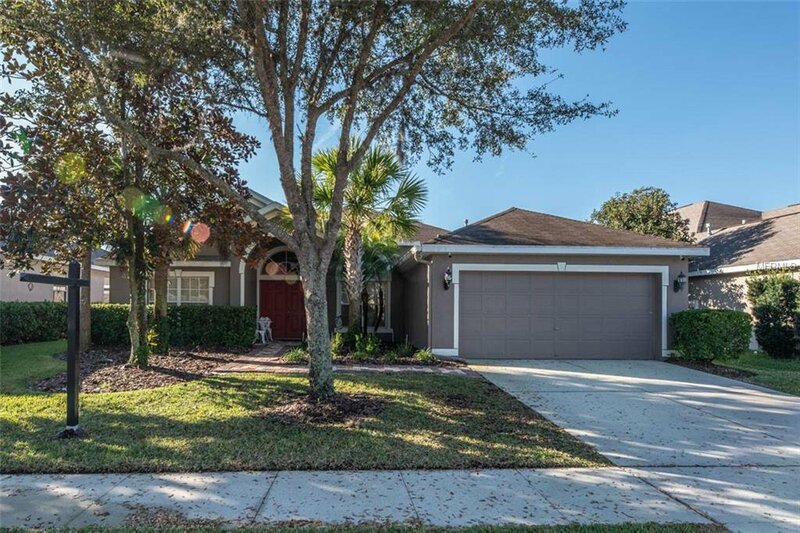 This home is located in the Fish Hawk Creek Elem, Randall Middle & Newsome HS school zone. At this price, this house will go fast so make your appointment today to see this beautiful home. Listing courtesy of KELLER WILLIAMS REALTY. Selling Office: RE/MAX ACROSS THE BAY.